Loake Chester Brogues Shoes Review - MR ELLIS ! Brogues are an indispensable addition to any serious shoe lover’s collection, and without a doubt, the Loake Chester Brogues is the perfect shoe to fulfill this role. 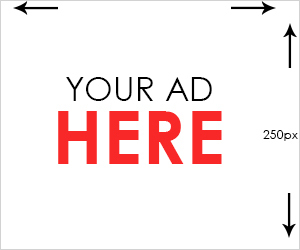 Be sure to put it at the top of your shopping list. 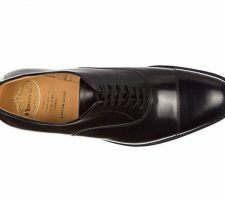 If you’re a fan of fine gentlemen’s shoes and boots, no doubt Loake is one of the top brand names you should consider. If you haven’t yet familiarised yourself with this top-tier English shoemaker, let me give you a little history about the company, so that you can see why their products definitely deserve a place in your closet. The Loake family has been making classic English shoes for multiple generations, but the Loake brand was first officially established by brothers John, William and Thomas back in 1880. 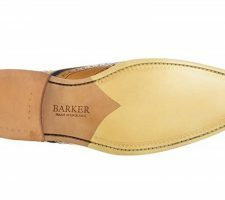 Fourteen years after setting up Loake Shoemakers as a going concern, the three brothers built the company’s shoemaking facility in 1894 on Wood Street in Kettering, Northamptonshire, where the building still stands today. 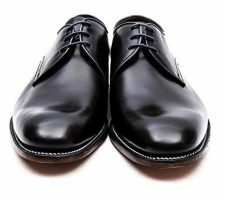 Perhaps what Loake is best known for are their premium grade handmade Goodyear welted shoes, which are constructed according to an age-old process that dates back some 300 years. One of the finest examples of this intricate and time-consuming shoemaking method is their Loake Chester brogues, which are part of the company’s highly coveted 1880 series of premium footwear. We’re going to discuss these exquisite shoes in this review, so let’s get on with it! The Loake Chester brogue is a durable country shoe that features premium calf leather uppers along with a double leather Goodyear welted sole. They are fully leather lined with a leather insole, and as their name implies, these shoes feature brogue punching along the edges, as well as decorative perforations on the toe cap. 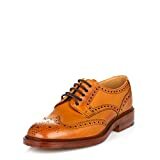 As the quintessential wingtip shoe, they can mesh well with both formal and casual ensembles. All you have to do is take one look at the Loake Chester and you will quickly see why they are often regarded as a must-have for the discerning dresser’s footwear collection. They are beautifully crafted with elaborate punching along the seams and on the toe cap as well, which by the standard definition would put these shoes under the “full brogue” category. As such, Chesters are considered to be more casual than formal (according to today’s fashion sensibilities, anyway). Their attractive design and rugged construction make these shoes amiable to a wide range of outfits and occasions, but for me personally, I feel most at home in my Chesters when I’m wearing jeans. Most fine footwear aficionados will tell you that any shoe from Loake’s 1800 series is a solid buy, and this definitely holds true for the Chester. They are handmade in the company’s tradition-rich Kettering factory using their legendary Goodyear welting method, which means that every single pair of these high-quality brogues takes 8 weeks to produce. With their superior stitched construction, these shoes offer fantastic durability and excellent shape retention. Giving them the proper care, you can expect these shoes to last you for several years without losing their fine appearance. In fact, once you’ve had your Chesters for a while (as I have), they will begin to acquire a certain patina (due to the aging of the leather) that gives them a wonderful “timeless” look. Simply put, these shoes are remarkably comfortable. They provide that “hand in glove” fit that makes them an absolute pleasure to wear. You can tell that they’re made of high-quality materials, because they have an unmistakably solid feel to them without being rigid, stiff or uncomfortable. Some reviewers have commented that they can take a while to break in, but in my personal experience, it only took a couple of days for my feet to feel right at home in these brogues. And let’s not forget the outstanding versatility that the Chester offers–what other shoes can you wear just as readily with a formal navy-colored suit as with a well-worn pair of jeans? Brogues are an indispensable addition to any serious shoe lover’s collection, and without a doubt, the Loake Chester is the perfect shoe to fulfill this role. It is constructed using the finest shoemaking methods on the planet, its design is irresistibly appealing and it is available in three different colour selections (tan, brown and burgundy) to complement virtually any wardrobe choice that tickles your fancy. If you’re ready to take the next step and own a top-notch pair of country brogues that you’ll not want to be without, be sure to put the Loake Chester at the top of your list.